Operation Barkhane deploys a 3,500-strong force to combat armed terrorists in the G5 Sahel countries: Mauritania, Mali, Niger, Burkina Faso and Chad. 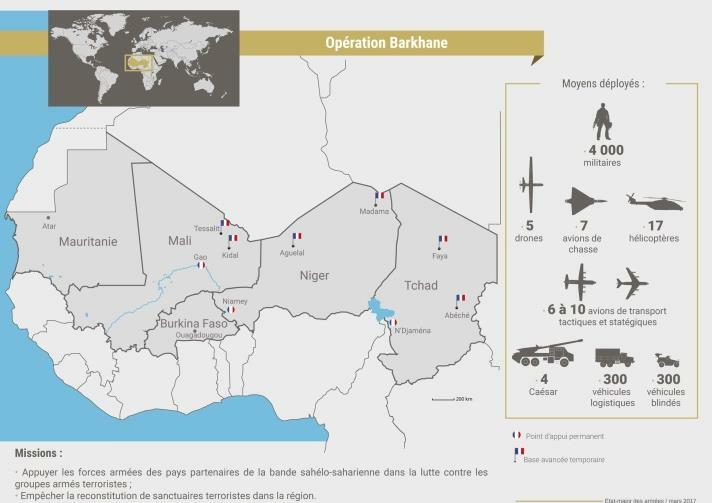 From 8 to 22 December 2015, Operation Gougoua, a tripartite operation (Niger-Chad-France) coordinated by G5 Sahel and Barkhane armed forces. The purpose was to disrupt the armed terrorist group’s logistics flows. An armored vehicle raid preceded the reconnaissance and zone control phases.